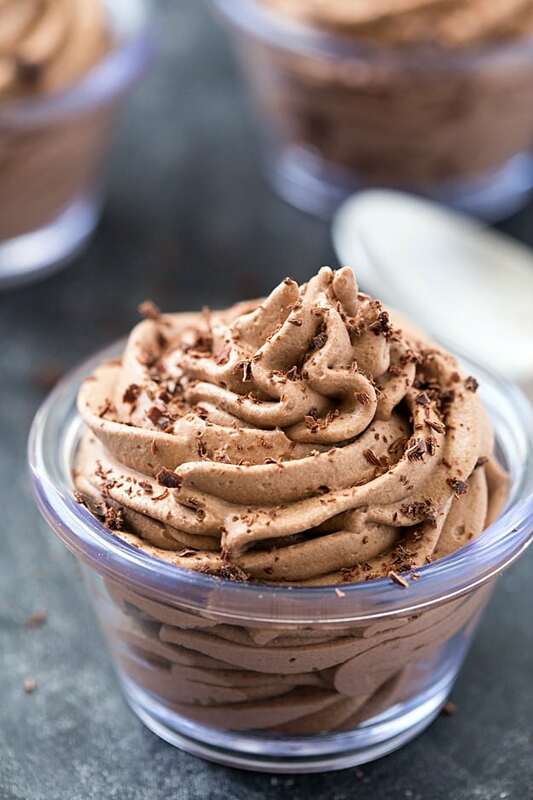 Secret Ingredient Easy Chocolate Mousse Recipe (Low Carb, Keto) – Create your amazing and incredibly easy chocolate mousse! The secret ingredient creates a whipped mousse that’s secretly healthy. I bet you will not even be able to guess the secret ingredient! Since beginning my keto journey, you can read about how I survived my first week on keto (low carb ketosis) here; I haven’t had any desire for sweets. I have been completely satisfied with fat. I mean who wouldn’t be? So the other day I had a little sweet craving, and I didn’t want to make anything too complicated. So here it is – easy chocolate mousse! The meaning behind the secret ingredient. I call it a secret ingredient because I wasn’t going to originally add it in, but it had to be used as soon as possible, or it was going to hit the trash. Avocados are like gold around here, we hoard them and do not waste them! I love sneaking avocados in recipes! Have you tried our dairy-free fudgicles? They are not low carb, but they can be easily adapted. So what’s the secret ingredient? Any guesses? AVOCADOS!! Avocados are like gold around here, we hoard them and do not waste them! I didn’t want to add avocado to the title of this recipe because I knew you wouldn’t try it if it had avocados in it, my family at least wouldn’t. It also wasn’t my idea to add the avocado to the recipe in the first place until I noticed it HAD to be used soon. When hubby came through the door after work, I told him he had to try a spoonful of this easy chocolate mousse I just made. He tried it and LOVED it; of course, I didn’t tell him there was avocado in it. His response if I told him before he tried it, “Ewwww. That sounds weird and gross.” But it wasn’t. It was the most delicious dessert ever, in my opinion. To sweetened this secret ingredient easy chocolate mousse, I recommend using Swerve or something similar. If you are only using Stevia drops, please taste after you add a drop, and then taste to your desired sweetness. Stevia is much sweetener, and a little bit goes a long way. 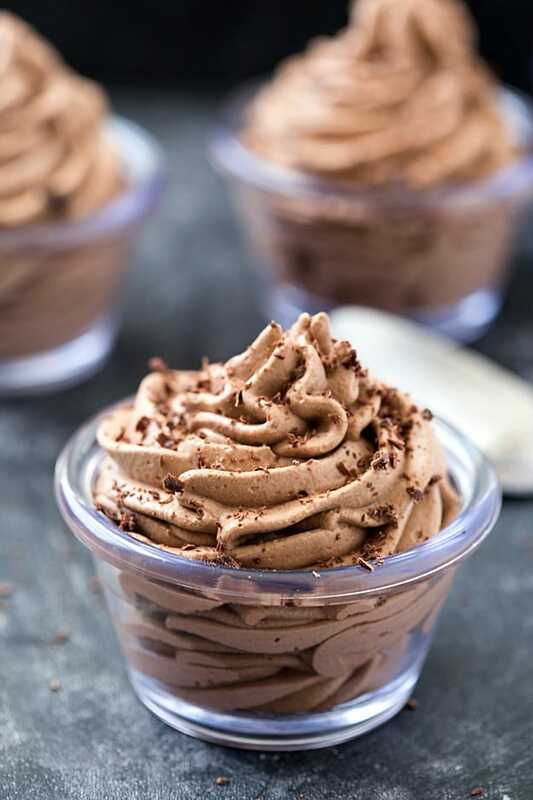 These easy chocolate mousses be perfect to serve at a birthday party, as well! So easy and delicious! Are you thinking about serving these easy chocolate mousses it at a boys’ birthday party, these 112 birthday cake ideas for boys would be so much fun! 2-3 tablespoons of desired sweetener, I recommend Swerve. Beat together the cream cheese until creamy and smooth using a handheld mixer in a medium mixing bowl. Slowly mix in the cocoa powder. Beat in the avocado and mix until creamy smooth, approximately 5 minutes. Add the vanilla extract and sweetener and beat again until smooth, approximately 1-2 minutes. In a separate mixing bowl, whip the heavy cream until stiff peaks form. Place the whipped cream in the chocolate mixture and gently fold until it's incorporated. Place the chocolate mousse in a piping bag and pipe into desired containers. Garnish with dark chocolate shavings. *Please calculate your OWN nutrition information in a database using the brand names. I recommend My Fitness Pal. Each brand will be different and nutrition information can vary. What’s your favorite low carb/keto-friendly sweetener? I would love to know! This is low carb? Looks delicious ? ☺but a bit rich and high in fat?? Yes, it is – Zoya. If you follow the Keto diet which is low-carb and high-fat, then these are perfect! So glad you enjoyed it, Deborah! Omg this is delicious best chocolate dessert I’ve ever had! Has anyone tried adding some natural peanut butter to this recipe? This is considered healthy fat. Fat doesn’t make you fat, carbs do:) Our brains love fat! 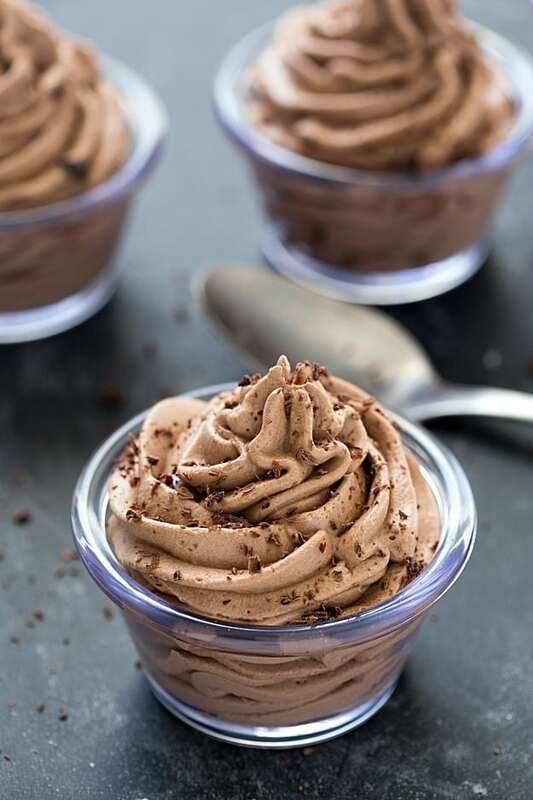 I’ve always wanted to make avocado chocolate mousse before so thanks for this recipe – I have to try it! I came to this not expecting a Keto friendly dessert. What a nice surprise! Monk fruit extract. Closer to the flavor of sugar than Stevia, Sucralose, or any others I’ve tried and it’s derived from nature. Thanks for letting me know, Nathaniel! How much Monk do you use in this recipe? Wow. Avocado in chocolate mousse. What a great idea!! How long would this stay good in the fridge? Is it freezeable? I would say 2-3 days. I have not tried freezing it, Cara. 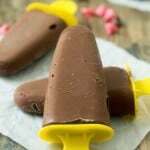 I freeze avocado chocolate mousse and make popsicles for my grandkids! Very yummy! I made a similar recipe and I had to throw the leftovers away the next day. That recipe was fantastic fresh. I would like to just make 1 serving because I am the only one that will be eating it. I made this tonight it was really good . A little goes along way if you have a sweet tooth you will love it . Made this for my hubby today. He was so excited to get a sweet. He has been on the Keto diet for almost a week and he said it was horrible. Is it because he hasn’t been without regular sweets for long enough to like a dessert like this? It sure looked and smelled good. Great question, Sara! A week isn’t enough time to transition from processed sugar to all-natural sugar substitutes. I would try this chocolate mousse again in a couple of months and see if it makes any difference! For me, it took many months to like the taste of keto desserts. Hope that helps! I would omit the avocado. I myself can’t get used to it in desserts,your husband is probably the same. I make a recipe similar to this but instead of avacodo I use coconut cream. (The fat found in canned coconut milk. Full fat and refrigerated at least 24 hours) I only use the solid white part and reserve the liquid for something else. Thank you so much for this. I want to make this but I am allergic to avocado. I developed the allergy a few years ago and now I suffer when avocado is involved. I am going to try it your way instead. We did a cheesecake whip with just a sugar free cheesecake instant pudding and 2 cups of whipping cream, use a hand mixer to combine chill for 5 minutes-then whip the crap out of it until it’s the consistency you like! It takes awhile but it does get fluffier! And my husband loved it! Long ago I found a tofu chocolate mousse recipe that was pretty good. I’ll try this with avocado soon! MAKING THIS FOR MY EASTER DESSERT! THANK YOU! I have bypassed this recipe in the past because of the avocado but I finally decided to try it. So glad I did, it’s yummy!! I can’t believe how much I loved this!!!! Absolutely delicious. I added a tablespoon of Unsalted, grass feed butter and a scoop of unflavored protein powder so I could have it as a post workout snack. This will keep me on keto for sure! Thank you! I’ve made this twice now. It is SO good! Waste of good ingredients.sorry, no offense,but that is horrible. The texture was perfect,I’ll give you that. Also could have been in part because I used stevia, which I definitely don’t care for. Haven’t found one I like. Oh no, Julie! Keto desserts are an acquired taste and getting used to the sweeteners. I do not recommend trying keto desserts until your way into the keto diet. Thank you, as someone only about 2 weeks into Keto, that had a massive sweet tooth , these were the perfect treat to help with the “I’m never going to get to have chocolate again in my life” feeling. I had to use stevia since that’s all I had. I found the swerve sweetener in granular form, is that what you used here? This is delish. I’ve been low carb for over a year now and this was absolutely delicious! I used Splenda as sweetener. I usually use powdered Stevia as a sweetener but I couldn’t figure out the right amount to use for that. The powdered Stevia is very sweet in small small doses. I appreciate the use of avocado. I found a similar recipe that asks for butter in place of the avocado. However I felt using the avocado was a healthier option. This is delicious and easy to make! The only downside is that it’s so yummy I want to eat it all – lol. I use Xylitol. It tastes and looks remarkably like sugar. The best thing is that Xylitol has no after taste which in my opinion all other sweeteners have. Xylitol is low carb, low calorie and Diabetic safe. It’s derived from 100% North American hardwood trees. It’s amazing! The brand is Xyla. We’ve been eating Atkins for awhile now and just switched over to Keto. So much better! We feel great and have more things to eat. Now we have a go-to chocolate dessert! Great texture and just the right amount of sweet to curb that craving. Thank you!!! I cut the recipe in half. Trying to avoid temptation if it was really good. Glad I did because it is really yummy. Perfect for my keto plan. Thanks for taking the time to share the recipe. Ooh! Trying this tomorrow when we have company for lunch. After reading the comments, maybe I’ll make my husband’s and mine with a keto-friendly sweetener, and the guests’ and kids’ with honey. I tend to think everyone will like what I like, but that’s not always the case! Just made this witg Erithritol and it came out delishous. As I am not a very big person at only 4’11”, I decided to use an ice cubr tray and make it 16 servings, with a bit left over for taste testing! I am a huge fan of Monkfruit! I don’t think there is another sweetener that can beta the natural taste of it. I use it in almost everything. I order it from Amazon.